Hey guys, today we are going to get a little more serious and discuss the world of stress. You see I am a big stress head as was my father. Sadly, it led in a large part to his passing away so it is something I have been aware of for a while. In fact one of the reasons that my wife started using essential oils was to try and work on the stress in our household. They are also something I have started to rely on to manage my own stress levels. Wow, that was serious! But sadly this is a serious subject as in the United States alone up to 77% of people report as experiencing some physical symptoms of stress. 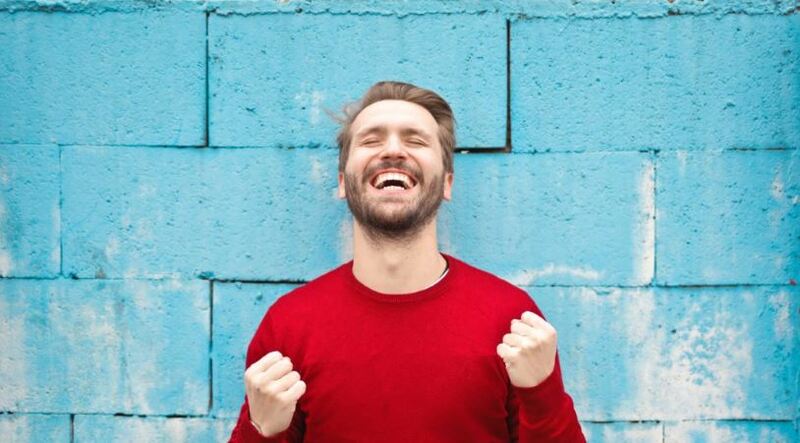 So let’s go on a journey and have a look at the 10 best essential oils for men and stress and see if we can’t find some ways to reduce it together. What can we do for stress? How can the use of essential oils assist with stress? Important note: When we discuss the use of essential oils to alleviate stress we are talking about providing relief to the SYMPTOMS of low to medium stress levels only and NOT for dealing with mental health issues. Should you feel that you are suffering from extremely high stress levels or a mental illness, please seek the advice of a qualified medical practitioner. I have said it before and I will say it again, it is really hard, I believe, to fully test and confirm the mood benefits of essential oils. What I can say though is that I believe anything that makes you relax or think of something different has to be a good thing. And I have to admit that a good whiff of my favourite Northern Lights Black Spruce certainly does bring on a different mood in me when I am tired or a little stressed. 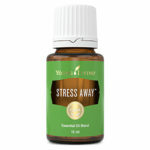 This oil is not one that I have found to be a good stress reliever in any of my research but it works for me. Is it all in my head? Probably… But it works… and that is all we are after hey? I did manage however to find some scientific explanations to this, which, let’s face it will be as interesting to read as the fine print on your insurance forms so I will keep it brief and in layman’s terms. But if you did want to read the article, go for it by all means here. For the rest of us, basically how it works is that when we inhale a scent that we find appealing, it releases chemicals/transmitters (Serotonin and Dopamine) in our brains that make us happy. These positive responses then directly affect other areas of our bodies including heart rate, breathing and muscle release. Over time, our brains remember these feelings and relate them to certain oils/aromas. Added to this is the fact that some of the plants used in essential oils – such as lavender – have compounds proven to calm and relax the body. Again, and I cannot highlight this enough, we are talking about relieving the symptoms here, NOT the causes. As usual, in my research I have found a LOT of essential oils that are supposedly good for relief of stress. So in keeping with the theme of my pages I have tried to stick to the manly ones. However, again from personal experience, some of the recipes my wife rubs on me when I am stressed or cranky tend to smell quite florally (which we all know is the man versus oil trigger for it being considered non-manly) but I do tend to like them in those times. Yeeeeaaaarrrppp, Lavender makes the list again. Is there anything this oil can’t be volunteered as being good for? In terms of stress relief, the not so manly aroma is scientifically proven to really hit the calming spot. Lavender teas have been used to calm the stomach since ancient times and lavender oil is commonly used to promote sleep. In fact, one of the first signs I saw that essential oils might actually work was watching my 6 year old son’s sleep patterns improve out of site once my wife started rubbing lavender oil on his feet before bed. Cedarwood is effectively a more manly smelling version of Lavender. It is widely discussed in terms of being a relaxant and good for promoting the release of Serotonin. It is also strongly linked to having a sedative affect when inhaled. I have found no real scientific evidence of any of this but I guess we are looking at how it effects US in this case hey. It was/is a major ingredient in ancient and modern incense products and, for your next trivia night, the ancient Egyptians used it to preserve the bodies of the dead. Diffuser – Add 5 drops to the diffuser for a calming man-smell. One the skin – Apply to the feet, wrists and behind the ears as you start to calm down for the evening. Inhalation – inhale directly from the bottle when you feel the nerves arise. Lime essential oil is one of those that smells exactly like you would expect it to. 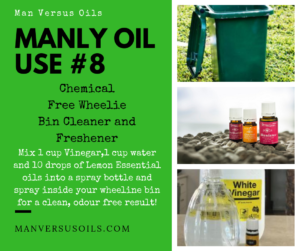 Like most citrus oils (you could substitute this for any of the citrus essential oils if you wanted to) its aroma gives a sharp boost making it a good oil for lifting mood. In terms of stress, this gives us a little jolt to help us deal with whatever it is that is causing us the discomfort at the time – remember we are dealing with low to medium stress levels here. In essence, it works at the opposite end of stress management than Lavender or Cedarwood in that it works to lift the spirits and positively levels rather than calming the mind. Diffuser – Add 5 drops to the diffuser to invigorate and refresh. Eucalyptus, like Lime and most of the stronger or ‘minty’ oils is good at reducing the low mood effects of stress. Eucalyptus has an invigorating aroma that is commonly discussed as a stimulant. If your stress is causing your body to feel rundown, eucalyptus in the diffuser will also help to assist in clear, un-congested breath to allow for relaxing breathing exercises and sleep. Diffuser – Add 5 drops to the diffuser to invigorate the spirit. One the skin – Dilute with a good carrier oil and rub onto the chest and wrists before sleep. We are heading back to the manly scents for this next one. Sandalwood, like cedarwood gives of a ‘woodsy’ aroma that is said to invoke a powerful therapeutic affect on the brain’s limbic system to stabilize and balance those manly emotions. Sandalwood is frequently incorporated into Buddhist mediation to promote mental alertness – something that is commonly missing when we are stressed. Diffuser – Add 5 drops to the diffuser to calm the mind and promote mental alertness – especially good for meditation. Ylang Ylang is often described as an “adaptogen” (although other pages refute this) meaning that it can have different effects for different people (Peppermint and Lavender also contain these qualities). 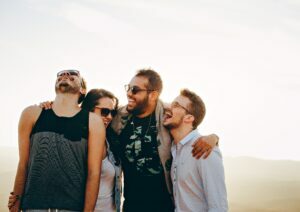 These qualities are extremely effective when it comes to stress as it can be both stimulating and calming depending on the mood and results on the person. It is also often described as being extremely effective in calming anger-induced stress. This oil definitely fits into the category of being a non-manly smell and it can also be described as overpowering. It is however one of the most commonly used oils for dealing with stress so if you can handle it, use it – or even try mixing with a manly scented oil to break the ‘florals’ down. Diffuser – Add 5 drops to the diffuser for immediate calmness. One the skin – apply directly to the wrists, kidneys and neck before sleep. In the bath – This one is great in the bath – and the florally aroma will wear off before work the next day I promise. 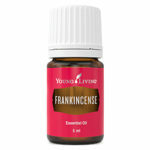 Frankincense is another extremely popular stress reliever with a nice manly aroma. Frankincense has long been studied for its sedative and anti-stress effects when it’s compounds pass the through the blood stream into the brain. However, whilst these studies have been successful in mice, results on actual humans are still not fully proven. Regardless, like many other essential oils, it has documented ancient use in mediation and relaxation rituals. My wife swears by it (she has an anti stress mix that she rubs all over us at times) and I have a friend who is adamant that when she puts a single drop on the crown of the heads of her children they calm immediately. I have seen it and I really couldn’t argue against her. Diffuser – Add 5 drops to the diffuser to for immediate calmness. In the shower – Add a few drops to a hot shower for a manly stress relieving steam bath sensation (wow – really oversold that one hey!). 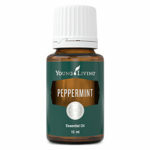 Peppermint, like Eucalyptus and Lime, assists with stress simply via its stimulating effects. The most ‘mentholly’ of all the oils, a simple inhalation can immediately clear the head. When used in a bath or the diffuser it can also fight feelings of lethargy and it is also scientifically proven to assist with nausea and upset stomachs which are also major symptoms of stress. Peppermint has also been studied for its ability to reduce tension headaches. Diffuser – Add 5 drops to the diffuser to clear the head and promote clarity. One the skin – mix with a good carrier oils and apply directly to the wrists, neck and forehead to alleviate tension headaches sleep or the stomach to assist with nausea. This oil was one of the first essential oils I ever used when my wife rubbed it directly into my calves to reduce cramps. I literally couldn’t believe it when it worked – lucky it has a manly aroma as well. It is commonly referred to – with some scientific evidence– as being a natural pain reliever and I would have to agree with that analogy. Its scent, which falls into the cedarwood and sandalwood line of manly, ‘woodsy’ smells if often referred to for use in calming the mind – like them, there is no real evidence of this however again, if the scent smells calming to you then it is doing its job – scientific proof or not. Massage – Add 10 drops to 2 tablespoons of your favourite carrier oil to sooth and relax the entire body. I couldn’t find any evidence, reference or stories at all that this one has any positive effects in the world of stress! Why is it in my list then? Cos I freaking love it!! I guess this is the perfect example of how essential oils can assist with stress related symptoms even when they are not ‘supposed to’. I use this one a lot if I am tired and my mind is racing (which tends to happen when I am tired and don’t have the energy to concentrate properly). A couple of whiffs straight from the bottle and I feel calm and relaxed and am able to switch my mind off. Nic, my wife, calls it my man-flowers. Meaning that I have the same reaction when I smell this oil that a woman does when she smells a bouquet of flowers – hmmmm. Don’t care, this one works! Shaving cream – Mix with Grapeseed oil for a fantastically manly saving experience. Lime, Vanilla, Copaiba, Lavender, Cedarwood and Ocotea and is aimed directly at dealing with stress and insomnia. I have been meaning to write a post on manly roller blends for ages but others keep popping up in front of me, so in the meantime here are some good roller blends for assisting with stress relief. Roll blends onto wrists, neck and temples before bed. As always, feel free to substitute, adjust dosage levels or even remove stuff as you see fit. I think as long as you have at least one of the oils listed above, then I think you are ok… this obviously goes for the diffuser and massage blends as well. 1 fl. oz. (30ml) of sweet almond or jojoba as a carrier oil. Use the funnel to add the required drops (as per preference) of the essential and carrier oils of your choice to the bottle. Ok, so there you go, I know that was a bit more serious than you may be used to with my posts but I guess it is something important to me. To be honest, use oils for this, or don’t. Just make sure that if you are stressed, you do something about it. I honestly like the oils in my life for stress but I also go for a walk, listen to podcasts and sit on the beach. My brother lifts weights. Just do something. Note: If you make a purchase from this page, there is a very good chance that I make a commission from it – these commissions do not increase the your sales price. All essential oil prices listed are in Australian Dollars ($AUD) – To see prices for other areas, select the relevant country flag at the top of the page. Also, if you are making a purchase and the enroller ID is blank, please help a brother out by adding 15846324 to the enroller and sponsor ID fields. Is the oil basically for men stress? What about women? Don’t women undergo stress? But if the oil is basically for men, I will like to know why and the ingredients used for production that limits it only for men’s use. Mean while , from your description, you have so many oil here and I don’t even know which is better. HI Kenechi – absolutely women suffer from stress – in fact studies show that they suffer more than men. 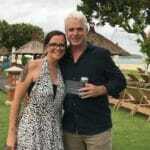 My article was coming at it from a male point of view based on my own experiences and within the theme of my site. Woman definintely use oils and there is absolutely no reason why females couldn’t use any of these oils listed. In fact my wife uses frankinsence as one of her favourites. I did give a lot of oils, my advice would be to choose one that sounds the most attractive to you and give it a try. 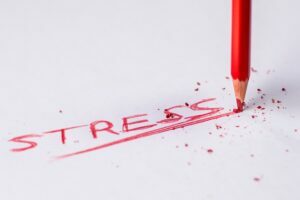 Stress has been know to be one of the major killers of mankind partly due to our daily struggle to meet up wit life demands and attempt to achieve goals. And this has sent many to the great beyond. Essential oils work as a remedy and relief in managing stress. Sof these oils in this report are so powerful in managing and preventing stress. It is advisable for people to have these essential oils at their disposal. The use of these essential oils are very beneficial to health. 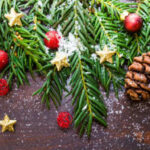 Thank you for this information in this post, I believe it will help a lot of families struggling with stress related matters. I have read the whole review about this information.This is really a wonderful information about The 10 Best Essential Oil for Men and Stress.This is really a very helpful review for us.I likes this article so much.I will share this article with my family and my friends.I believed they will also like this article.Thank you so much for sharing this informative review with us. Thank you for an interesting read, and it’s amazing how we are all going back to basics when it comes to our health. Sorry to hear that your father was a victim of stress. Not surprising that lavender makes the list, as it must be one of the most popular essential oils with the most uses. I use some on my pillow to help me sleep better. Frankensense, on the other hand, is one I haven’t tried yet, and I was surprised to read that it was good for stress release. I like the idea of a drop on a child’s head and this is one I am going to try. I didn’t believe it re Farankinsence until I saw it with my own eyes. Make sure you only do one drop though in case it effects their skin. Hey Paul,For your information, I am been suffering with serious insomnia problem for many years due to work pressure and smoking. I was diagnosed with Bipolar Mood and Sleeping Disorder and currently under medical treatment. I was prescribed with sleeping pills and undergone on several therapy treatment but it doesn’t help much.I will try some of your insomnia diffuser recipe and massage blend as well.Thank you for sharing this article and tips to combat insomnia. Stress is almost inevitable in life and must be faced with caution else depression and anxiety kicks in and make you feel bad about life, I do know about the lavender oil but I haven’t made use of it, this will be a perfect time to try it whenever I’m stressed out from work. thanks for this important review. Thanks for this lovely post. i never knew until i read your post that the up to 77 percent of people reports on physical symptoms relating to stress. I thought the united states was generally a stress free country (smiles). I have been able to learn how to reduce stress from your post through exercising, relaxing more, catching fun and then taking to someone about my stress issue. It’s definitely got my interest! Hope to see more of your subsequent posts. The concept of aromatherapy is really worth exploring in human health. Oftentimes, my wife go to sleep always with fragrance, and it has health benefit for both of us. Her odour often calm my nerves, then reduce stress. I appreciate the fact that you took tour time to walk us through the what is stress, remedies and how best them.Among these oils, peppermint is my favourite, I consider buying it for me and my wife. Hey Autofreak – Peppermint is definintely a favourite in my house.